Constantly stealthed. Grooms face and pops up to look around. After completing a short quest chain from Griftah and Al'Abas in the Chamber of Shadows, Rogues can collect Coins of Air by pickpocketing mobs on the Broken Isles. As @Klax says, you will see the price go down on the AH. This is an avoidance critter vs undead. Avoidance vs undead is always good because you want to avoid what they do after they die the first time. And the second time. I don't think you can see him unless you are a rogue. I tried to stone him on my druid and could never find him. Had to do it with my rogue. 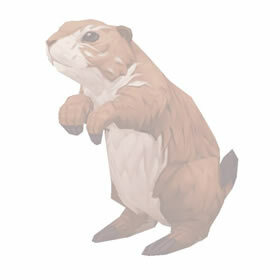 It's hilarious that the developers chose this make the marmot available in a new iteration without updating his appearance. Look at his deformed triangle head and his disconnected feet. Poor guy, no wonder he sneaks. S/S breed is excellent for PVP. 'Blinding Powder' + 'Smoke Bomb' = 3 turns of blocked attacks assuming you are faster than your opponent. This pet goes well with a DOT (Haunt/Immolation) team in PVP. He is very sneaky... so sneaky, you might not even know he is there. Took me a few moments to spot him before I could battle stone him up. Rogue pickpocket for 10k coins goes by real fast... also, I am sure the AH will be filled with them for days to come. This marmot has been with you this entire time. He's that good.